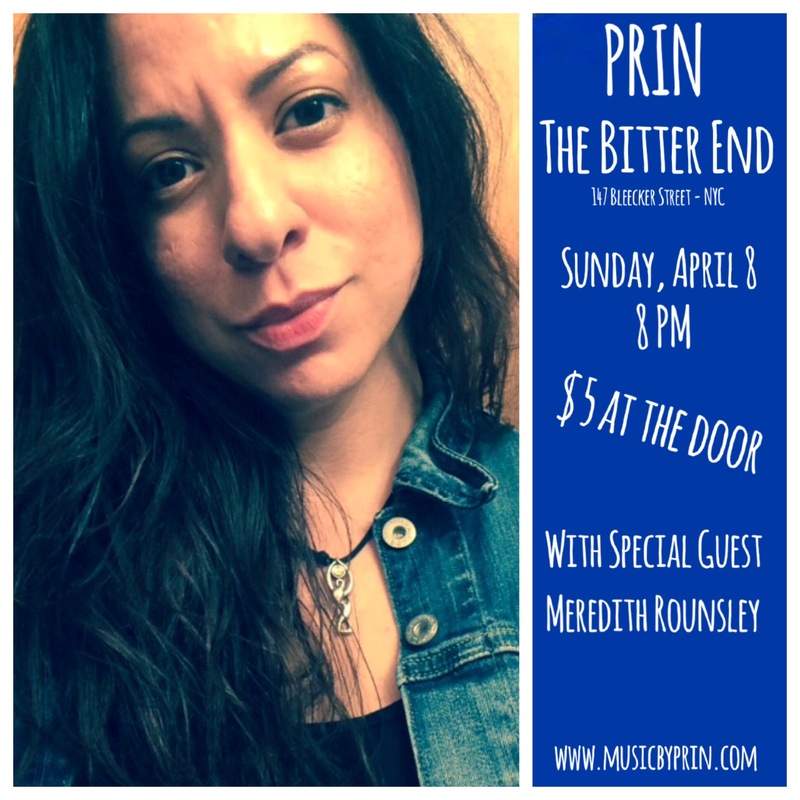 Come see Prin perform a 30-minute set at The Bitter End with special guest, Meredith Rounsley, performing new music! The set will highlight some new original songwriting collaborations, including very new music written from Prin’s March trip to Nashville! $5 at the door, plus minimum drink at the tables, if sitting, or just come to hang! Prev Post: Prin – January 20 @ 9PM in Jersey City, NJ!